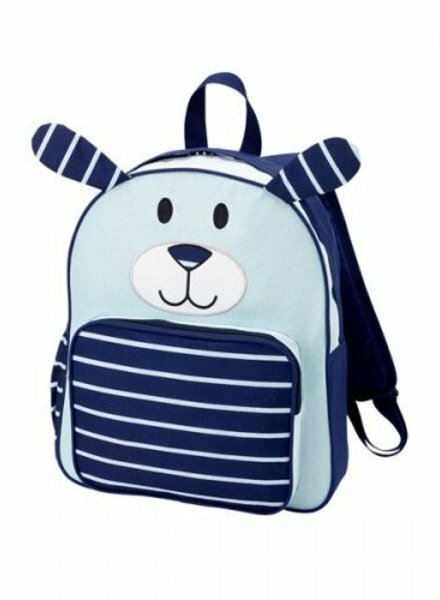 Navy and baby blue puppy backpack has 2 main compartments with an interior zipper pocket & exterior elastic pocket. 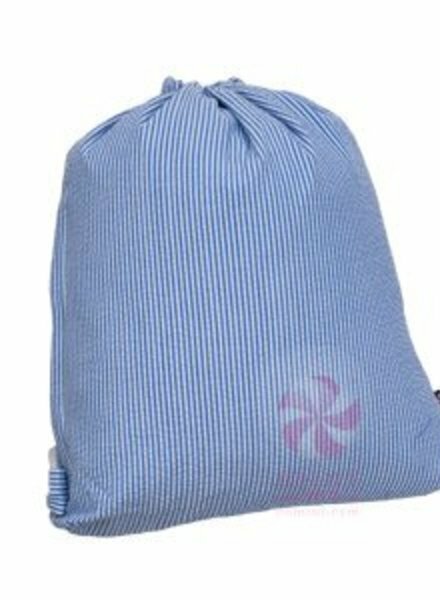 Front pouch is perfect for personalization. 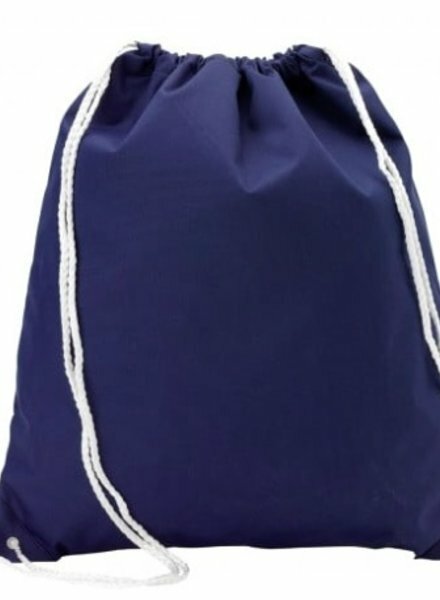 Navy blue backpack has 3 main compartments with multiple pockets including an exterior elastic pocket. 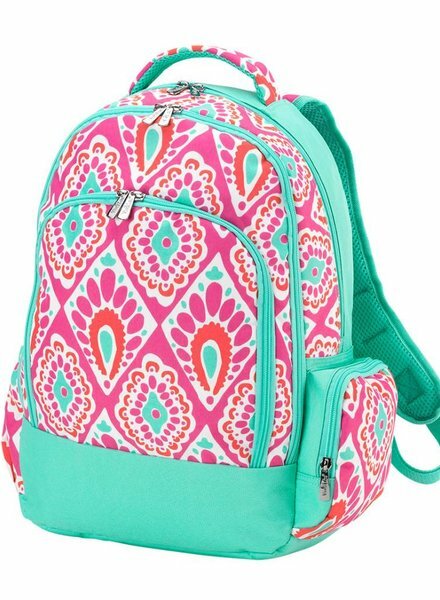 Features adjustable comfort fit shoulder straps & a padded laptop/tablet compartment. 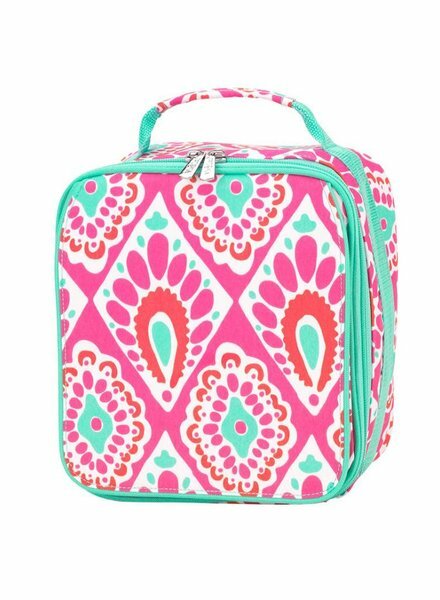 Lunch box features easy to clean insulated lining with room for storage containers and a water bottle. 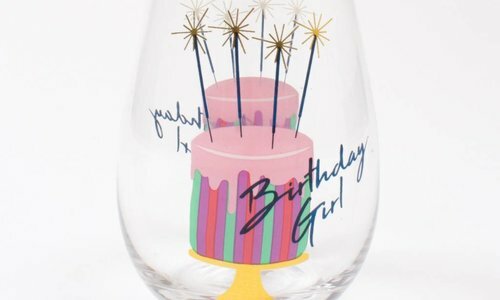 Perfect for personalizing. 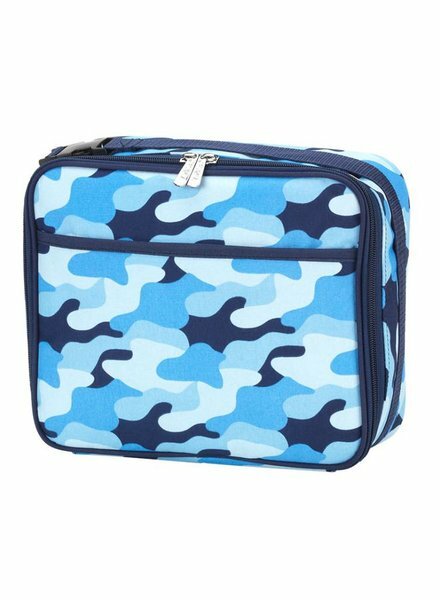 Blue came lunch box features easy to clean insulated lining with room for storage containers and a water bottle. Perfect for personalizing. 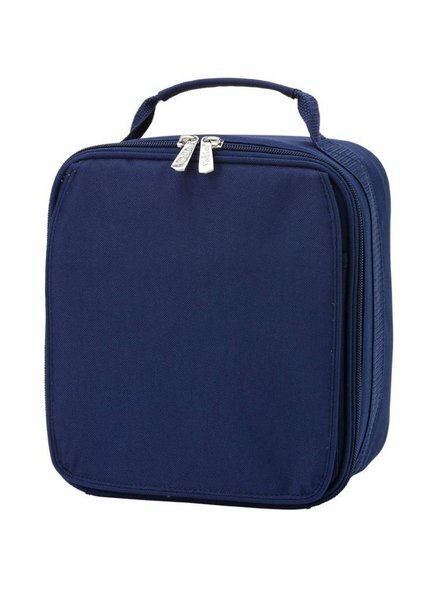 Backpack has 3 main compartments with multiple pockets including an exterior elastic pocket. Features adjustable comfort fit shoulder straps & a padded laptop/tablet compartment. Top cinching sling backpack also has a side zip pocket for keys and cards. Fully lined & water resistant. 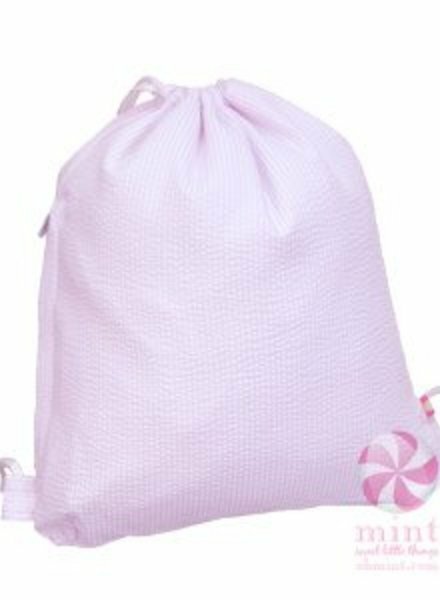 Functions great as a school gym bag. Perfect for monogramming. 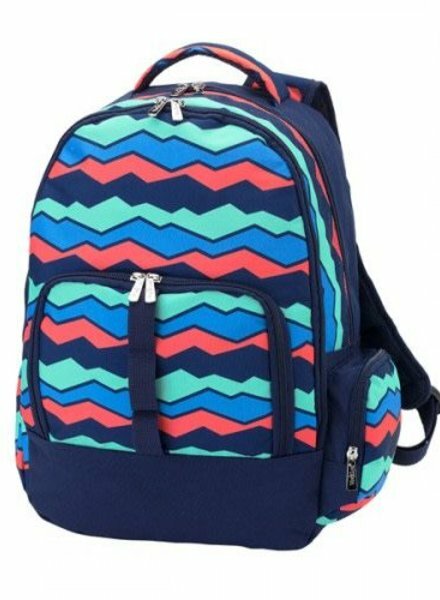 Striped backpack has 3 main compartments with multiple pockets including an exterior elastic pocket. 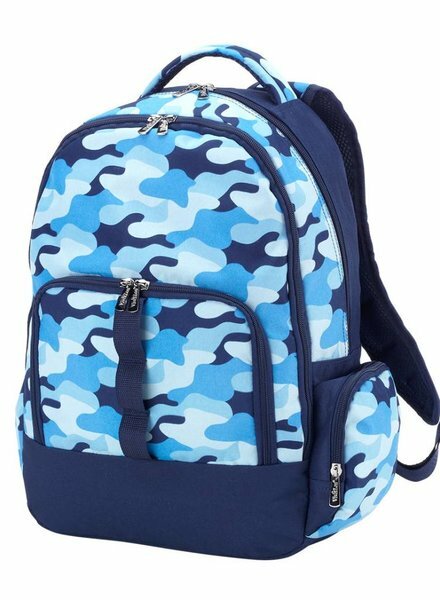 Features adjustable comfort fit shoulder straps & a padded laptop/tablet compartment. 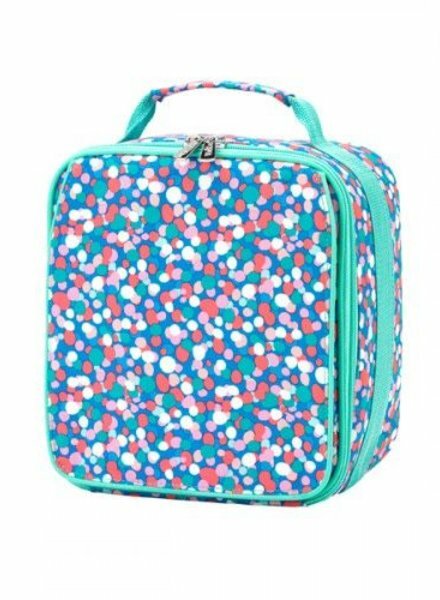 Blue came preschool backpack has 2 main compartments with an interior zipper pocket & exterior elastic pocket. Front pouch is perfect for personalization. 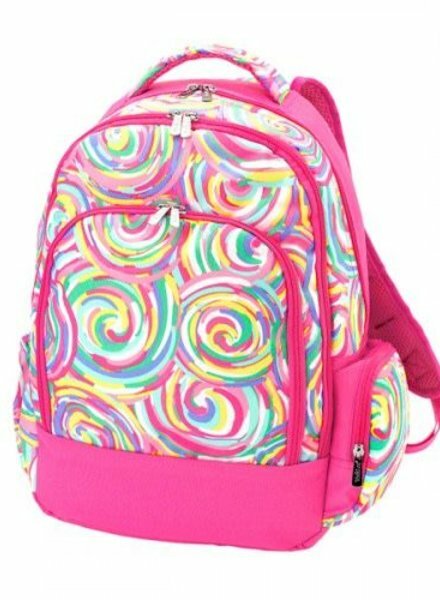 Pink swirl print backpack has 3 main compartments with multiple pockets including an exterior elastic pocket. 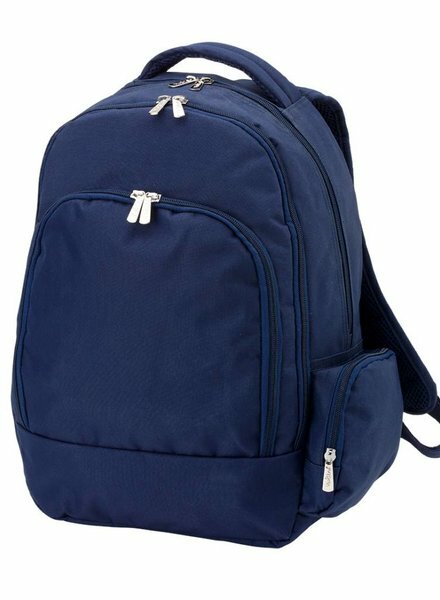 Features adjustable comfort fit shoulder straps & a padded laptop/tablet compartment. 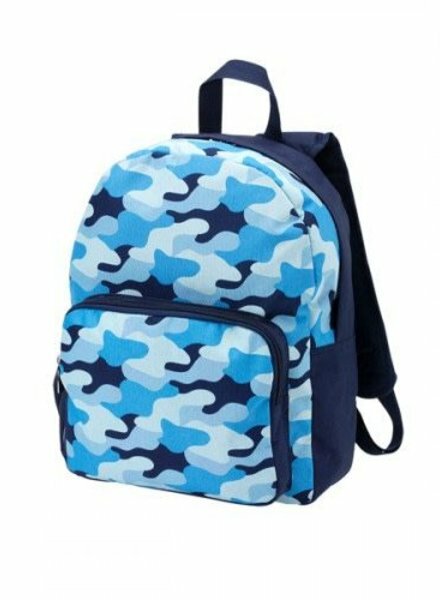 Blue came backpack has 3 main compartments with multiple pockets including an exterior elastic pocket. 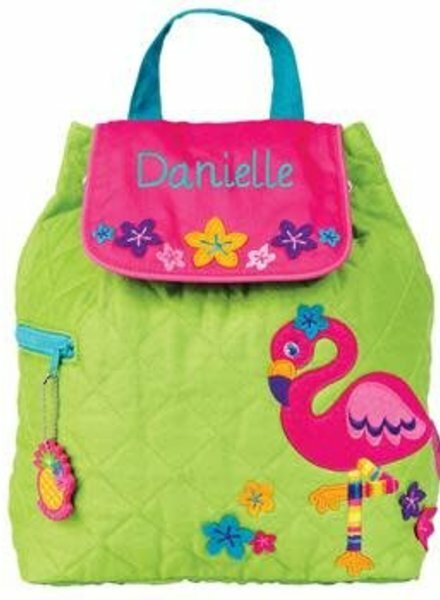 Features adjustable comfort fit shoulder straps & a padded laptop/tablet compartment. 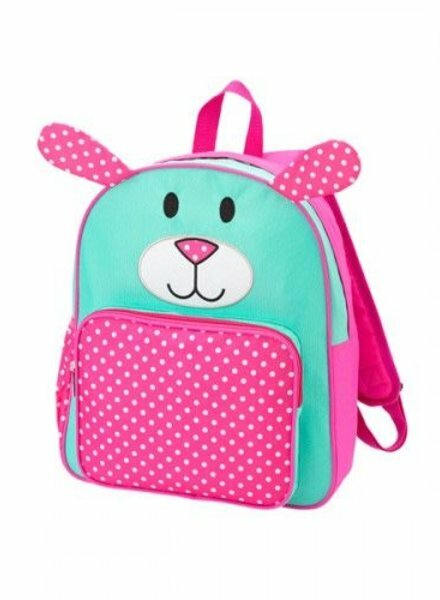 Pink and mint puppy backpack has 2 main compartments with an interior zipper pocket & exterior elastic pocket. 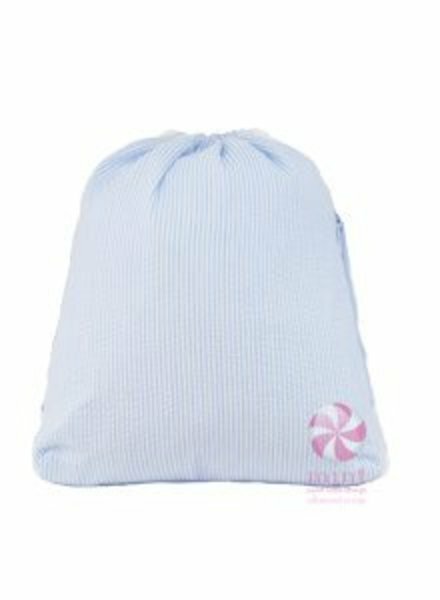 Front pouch is perfect for personalization. 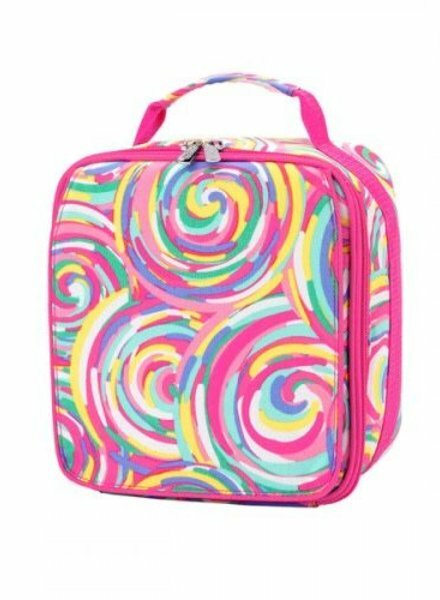 Pink swirl lunch box features easy to clean insulated lining with room for storage containers and a water bottle. 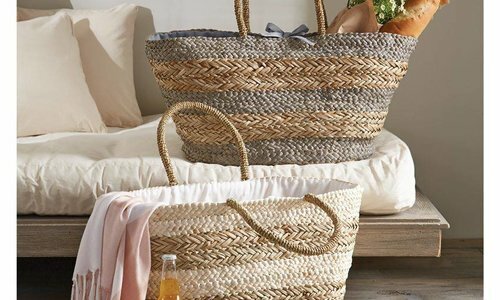 Perfect for personalizing. 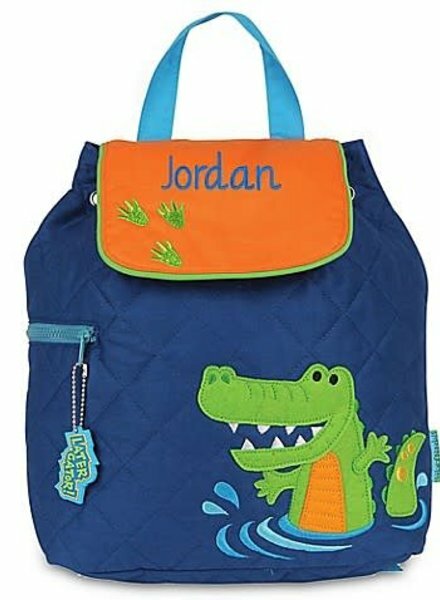 Blue and orange alligator preschool backpack with magnetic snap and drawstring closure features embroidered aplique decoration with space for personalization. 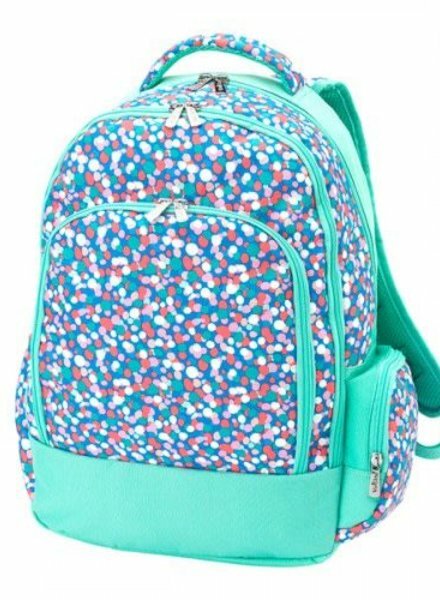 Mint confetti backpack has 3 main compartments with multiple pockets including an exterior elastic pocket. Features adjustable comfort fit shoulder straps & a padded laptop/tablet compartment. Top cinching sling backpack also has a side zip pocket for keys and cards. Fully lined & water resistant. Perfect for monogramming. 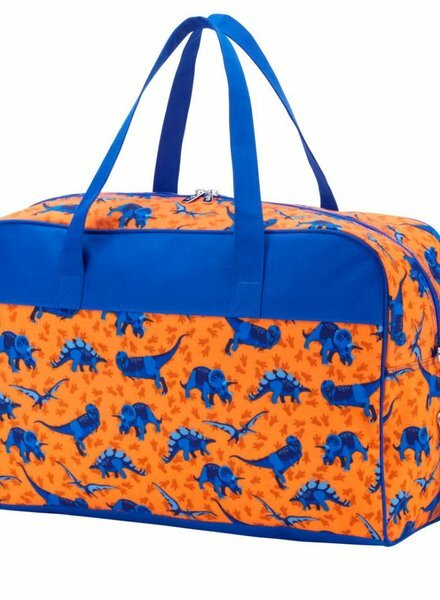 Blue and orange dinosaur print travel bag is perfect for a trip to grandma's house. 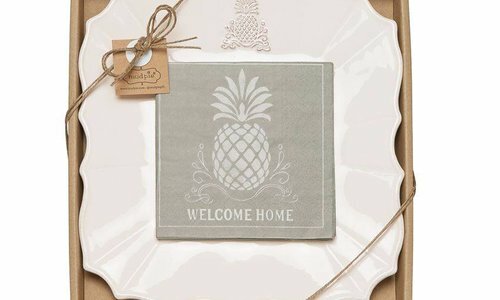 Great for embroidery personalization.